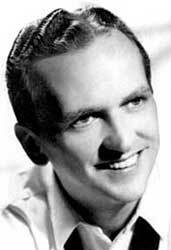 Peter Tripp, who wowed radio audiences with his mid-1950s Top-40 countdown record shows on WHB in Kansas City, and later at New York City's WMGM, died January 31, 2000, at Northridge California Hospital, following an apparent stroke suffered at his home in West Hills, California. Tripp was 73 years old. This is not an aircheck, it is a composite that includes promotional announcements and jingles, and two news reports by WMGM Minute Man John Connalee regarding the record-setting conclusion of the Peter Tripp Wake-A-Thon (1-28-1959). The introduction is a WMGM news promo; there is also a WMGM Promo featuring The Redhead, Ted Brown, Jerry Marshall (Record Room), Norm Stevens (Record Bandwagon), Peter Tripp (Your Hits of the Week) and Dean Hunter. Tripp's no-sleep marathon became a studied event. According to his son, Peter Tripp Jr., "What started out as a stunt has become required reading in the behavioral sciences at colleges and universities from coast-to-coast." Tripp became entangled in the "payola" (record play for pay) scandals of the late 1950s and early 1960s. According to Richard Fatherley, Tripp said he "never took a dime from anyone" (in the record business). He was forced to leave WMGM and took assignments at KYA in San Francisco, KGFJ in Los Angeles, and WOHO in Toledo, Ohio. A career change lead him to the physical fitness sales and marketing industry. Peter Tripp was born in Port Chester, New York, on June 11, 1926. Reel Top 40 Radio Repository ©1996-2000 Richard W. Irwin.